If you are under investigation or have been charged with a felony crime in Maumee, Ohio (outside the Toledo OH area), it is imperative you take steps to protect yourself from possible miscarriages of justice. As a United States citizen, the criminal justice offers you certain rights that are designed to protect you and assure you a fair trial. The most important of those rights is the right to attorney. 1. Interpreting the Law – An experienced attorney is trained to understand complicated laws and all the implications that surround them. As your representative, the attorney should be able to explain your charges and the possible exposure in terms you can understand. 2. Assessing Evidence – While a prosecutor may have probable cause to file charges, it doesn’t mean they have the evidence to assure a conviction. It’s your attorney’s job to look at the evidence, listen to your side of the issue and determine a proper course of action. 3. Handling Paperwork – The filing of motions and court documents are critical processes that demand attention to detail and accuracy. An attorney and/or their staff members are trained to prepare critical documents the way the court system needs them filed. 4. Preparing for Trial – This is where many cases are won or lost. A competent attorney should review the evidence and line up experts and witnesses to refute the evidence. 5. Negotiating with Prosecutor – If you are guilty or there are extenuating circumstances, an experienced attorney should know how to approach prosecutors about a possible plea bargain. 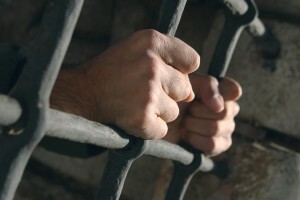 While you may have committed a crime, it doesn’t mean you deserve the maximum penalty. There is also the possibility they can convince the prosecutor to drop the charges if a case is weak or unfounded. As you can see, some crimes have the ability to destroy your life. The best protection you have is representation from an experienced and competent criminal law attorney. If you live around the Toledo OH region or in the city of Maumee, Ohio, and need representation, please contact this firm for an immediate consultation. Call Toledo criminal law attorney Michael E. Bryant today for all of your legal needs. Find Michael E. Bryant online at www.mebryantlaw.com, visit our law office in Toledo, OH on the second floor of 1119 Adams St. or call us at (419) 243-3922.